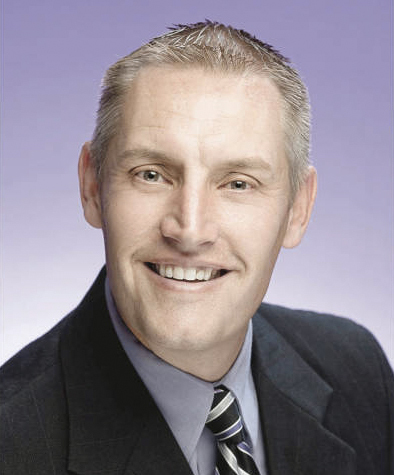 The Weber State University football team has done it again. 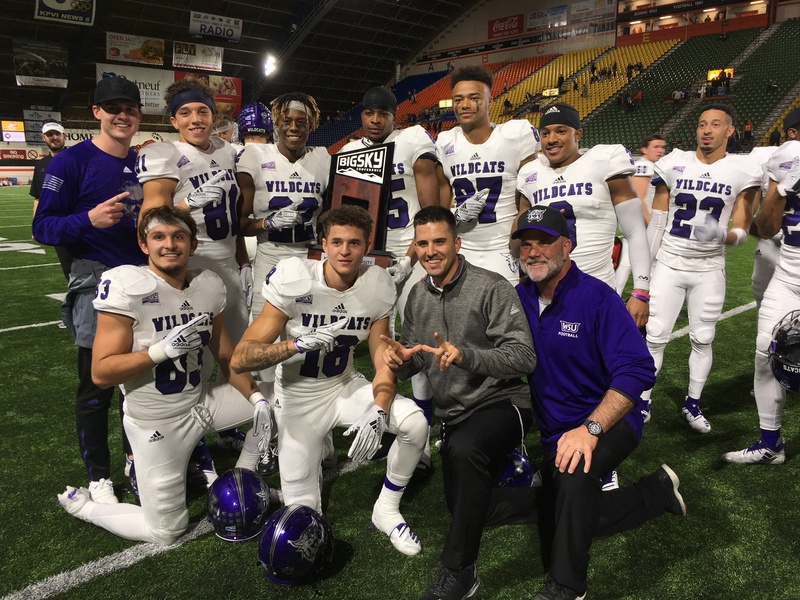 The Wildcats defeated Idaho State University 26–13 in Pocatello on Saturday to clinch a share of their second straight Big Sky Conference title. Wins by UC Davis and Eastern Washington University made it a three-way tie at the top. Due to WSU having the better head-to-head record of the three teams, the Wildcats receive the automatic bid to the FCS playoffs. The Bengals attempted a trick play to start the game, as junior defensive back Christian McFarland caught the opening kickoff and threw to an open receiver at the 10-yard line. However, he was called for an illegal forward pass and ISU went three-and-out. After a punt, Weber State scored on their opening drive for the fourth consecutive game. WSU started near midfield and marched into the red zone, thanks to a 32-yard connection from sophomore quarterback Jake Constantine to freshman wide receiver Devon Cooley. However, the Bengals held the Wildcats to a field goal attempt. Sophomore kicker Trey Tuttle connected from 21 yards to give his team a 3–0 lead. With the first quarter approaching its end, WSU converted their first takeaway in 10 quarters. Senior linebacker LeGrand Toia blitzed ISU senior quarterback Tanner Gueller, forcing him to fumble. Senior cornerback Jordan Preator recovered the ball at the 37-yard line to set up Constantine and the offense. Constantine led the drive from that point forward. He found sophomore wide receiver Rashid Shaheed for a 19-yard gain, then redshirt running back Josh Davis scampered his way 16 yards inside the Bengals’ 5-yard line. The drive culminated on the first play of the second quarter, when Davis ran in a 2-yard touchdown. The ensuing two-point conversion failed, so the score remained 9–0. Davis said he is appreciative of the role he assumed this season when senior running back Treshawn Garrett was hampered by injuries. As the Bengals got the ball back, the ‘Cats defense continued their superiority. On third down, junior defensive lineman Jared Schiess sacked Gueller for a loss of 9 yards. The Wildcats were ready for the punt, which resulted in a block. 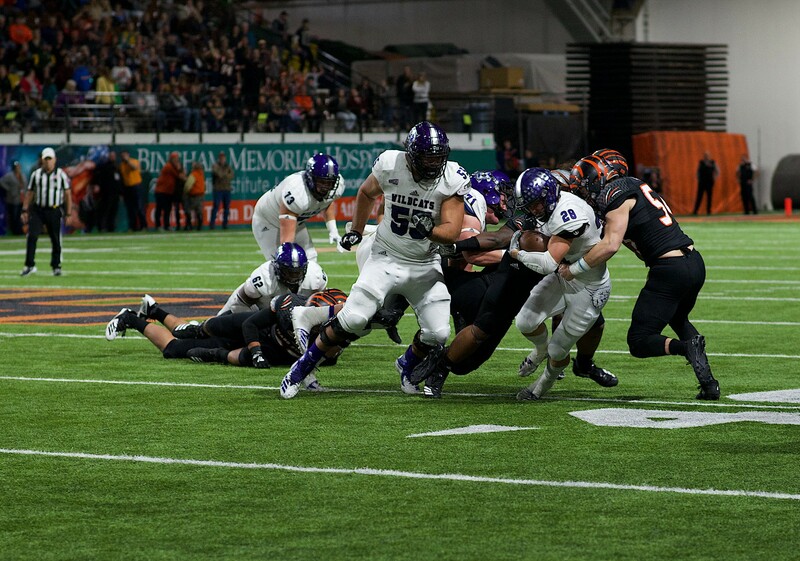 Sophomore linebacker Noah Vaea recovered the ball to set up Weber State inside the 35-yard line. Davis ran for 19 yards on the first play of WSU’s possession, then Rathen Ricedorff entered four plays later. The seldom used senior quarterback had been on the field for a total of six snaps on the season prior to Saturday. 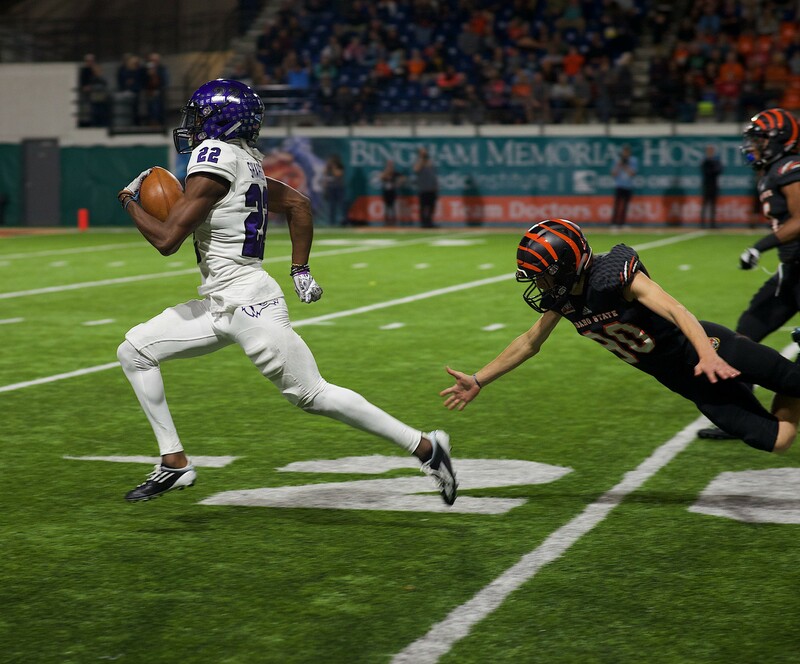 Ricedorff made his mark on the Wildcats season with a 4-yard touchdown run, as he leapt over two Bengal defenders and into the end zone. The ‘Cats led 16–0 after Tuttle connected on the point after. It remained a 16-point Wildcat advantage into the half. Sophomore defensive end George Tarlas added a 9-yard sack to his name. Idaho State attempted an onside kick to start the second half, but the ball was recovered by sophomore defensive end Raoul Johnson. After WSU moved the ball inside the 30-yard line, Tuttle missed wide right on a 43-yard field goal attempt. 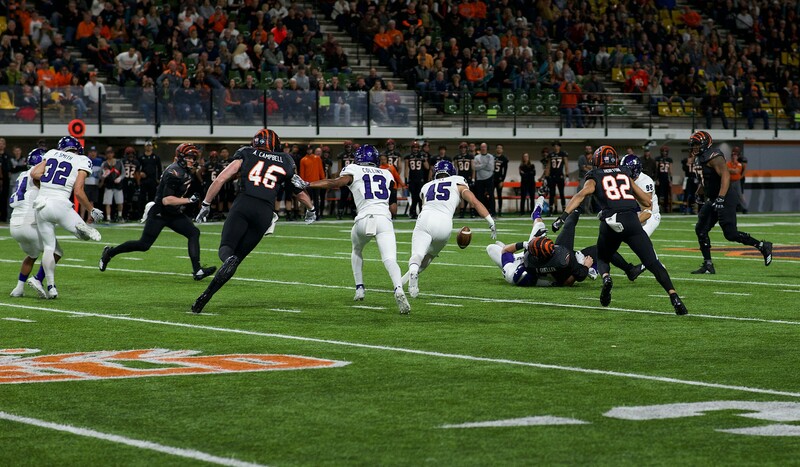 The Bengals cracked the scoreboard almost immediately, as Gueller found his brother, senior wide receiver Mitch Gueller, for a 48-yard touchdown. The two-point attempt failed. As a result of the post-touchdown celebration, ISU was flagged for unsportsmanlike conduct and was forced to kick to Shaheed. The wide receiver and return specialist made them pay. Shaheed caught the ball at the 21-yard line and ran, nearly untouched, 79 yards into the end zone to give his team a 23–6 lead. 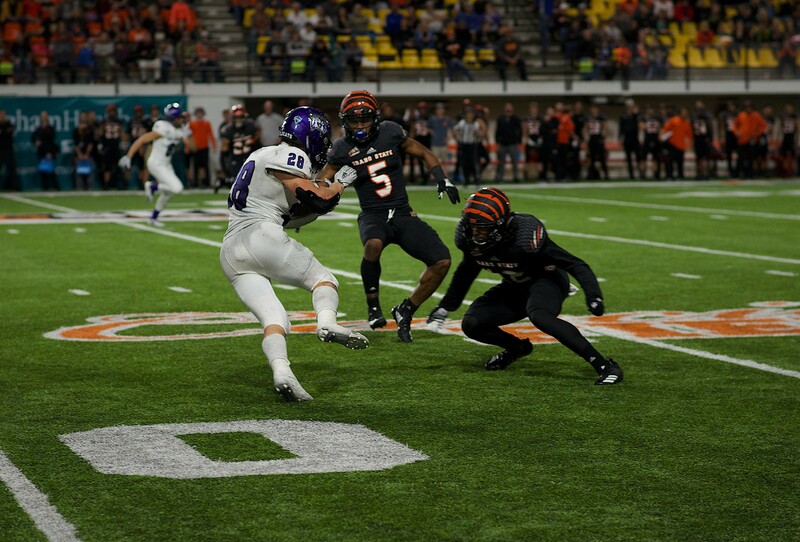 It was the fifth kick return for a score in Shaheed’s career, which is a Weber State record. Idaho State fought back on their next drive, eventually scoring on a 28-yard rush by redshirt junior running back Ty Flanagan. After a WSU punt, the Bengals had the home crowd in their favor as they worked the ball deep into opponent territory. With ISU at the 2-yard line, senior cornerback Keilan Benjamin intercepted Gueller in the end zone. Idaho State amassed 207 total yards in the third quarter, but the Wildcats held them to 13 points. At the tail end of the third quarter, Davis lost a fumble to give Idaho State new life with the ball at the 42-yard line. 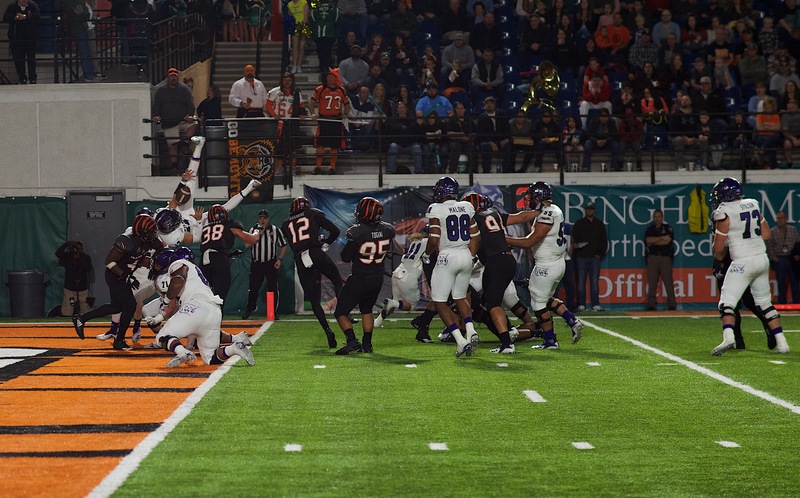 The Bengals penultimate drive ended in three consecutive Weber State sacks. Vaea, Tarlas, freshman defensive lineman Kalisi Moli and freshman defensive end McKade Mittion all combined to get in on the action. Though not on the field at the time, Williams said he believed it was the first time he has seen three sacks in a row. Weber State finished with seven sacks, two forced turnovers, and a blocked punt. The final points of the evening came on a 23-yard field goal from Tuttle, as the ‘Cats prevailed over Idaho State for the 15th time in their last 16 meetings. Weber State will now fix their attention to the FCS Playoffs Selection Show, which will be aired on ESPNU tomorrow at 10:30 a.m. The Wildcats are currently No. 3 in the nation. “That’s going to be a big deal for us,” Hill said.